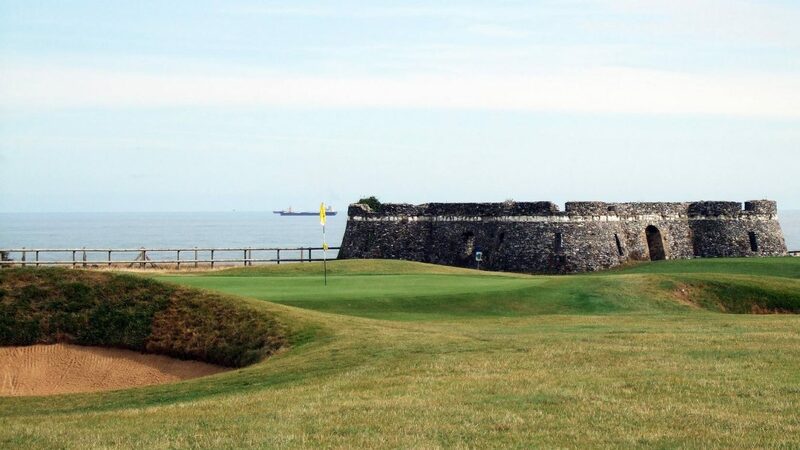 As an Open Final Qualifying Venue North Foreland Golf Club has it all – an unrivalled free draining chalk downland course offering all-year round golf coupled with stunning scenery and breathtaking views of the coast. Founded in 1903, the course is situated on the Kent coast at the point where the English Channel becomes the North Sea. In 1912 Fowler and Simpson were employed to extend the original 9 holes and they designed the existing full 18 hole course. The amazing legacy of that vision lives on to this day to be enjoyed by one and all. As many lovers of the game will testify, once you have played golf at North Foreland, the urge to return becomes irresistible. Cliff top vistas, beautiful fairways and alluring greens all serve to make your game a unique and memorable experience. After walking off the 18th green, the clubhouse beckons, where friendly and professional staff will make you feel welcome. Following relaxation, and reflection on your game in the company of friends, you’ll soon be planning your next visit to North Foreland. Directions: - North Foreland is situated in Broadstairs in Kent, overlooking the East Kent coast, equidistant between Margate and Ramsgate. For satellite navigation purposes our postcode is CT10 3PU. Main Course £45per round or £60 for a day ticket, par 3 course £8 per round and £12 day ticket Mon – Fri, weekends £10 per round or £15 all day. We have practise facilities which include: - putting green, chipping green, chipping area, bunker and a practise ground. We also have 2 tennis courts. Other facilities include ground floor restaurant, men’s and ladies locker rooms, on the first floor there is a large bar / function room with spectacular views across the course and the North Sea.